Higher education increases your chances of getting a good job with decent pay. Young people can get a reprieve on the training from service in the army. Besides, in College you will surely find many new friends and buddies. Entered the Moscow colleges. In the capital there are many institutions of secondary vocational education in various fields. If you are seduced by the technical and technological educational institution should pay attention at the Moscow College of space device engineering or Moscow technology College. If you are interested in transport educational institution, you may need to enter the Moscow aviation technical school, or in the Moscow College of transport construction. Among economic and educational institutions can highlight the Humanities College of Economics and law, and Moscow trade and economic College. Pay attention to the technical schools of St. Petersburg. In Northern capital there is a considerable number of institutions where it is possible to obtain higher education. Saint Petersburg radio, social and Polytechnic colleges are eagerly waiting for their students. People-oriented economic education, it may be advisable to look at the St. Petersburg cooperative technical school or state College book business. Education in the field of culture to St. Petersburg the College library. Consider regional technical schools. In the Moscow region should pay attention to the Moscow regional College of industrial technologies, either for Orekhovo-Zuevsky textile College. In Voronezh have energy, installation and mechanical colleges. In Kaliningrad, you can go to study in the co-operative College. In Nizhny Novgorod Nizhny Novgorod is waiting for applicants for motor vehicles, agricultural and construction technical schools. 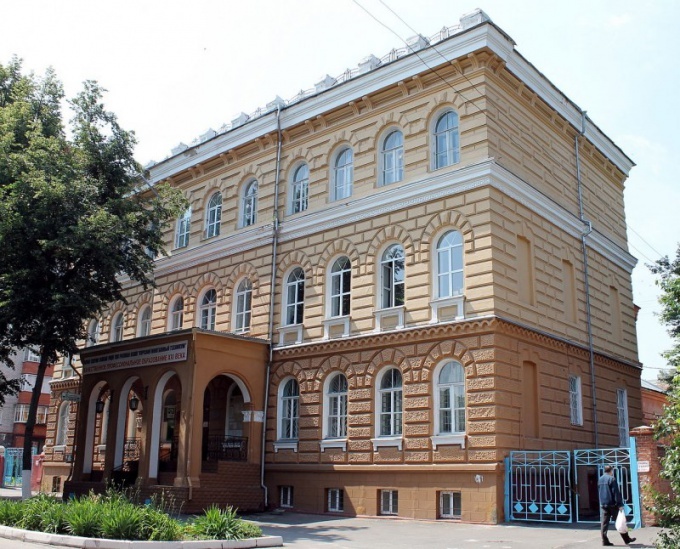 Among the educational institutions of Rostov it is possible to allocate Bank of the don College. In Ekaterinburg higher education in energy engineering.